Chelsea move back to the top of the Premier League as Diego Costa scores the only goal of the game to guide Antonio Conte's men to the three points. Chelsea returns back to the top of the Premier League table and as they make it a nine successive league wins. It was Diego Costa who managed to broke down the West Brom's defenders and put Chelsea back to the top of the premier League after a 1 - 0 win at Stamford bridge. Tony Pulis men played very well but it was Chelsea who came out with 3 points. 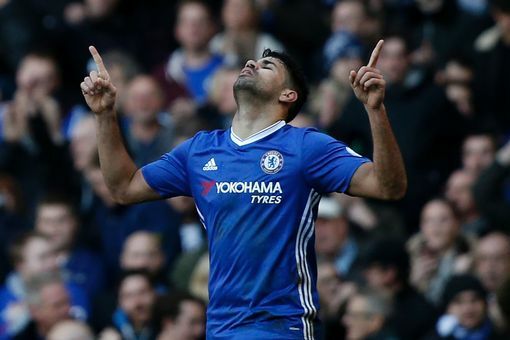 There is no doubt that Costa has been in an outstanding form this season and his goal was enough to send the Blues back to the top of the table, after Conte had changed to a back four. Chelsea will be facing Sunderland on Wednesday before a London derby at Crystal Palace on Saturday. While West Brom will be hosting Swansea on Wednesday and then have another home game against Manchester United on Saturday.